Lockdales’ April 8 auction in Ipswich includes this large and early 20th century original Colman’s Mustard wooden advertising sign. 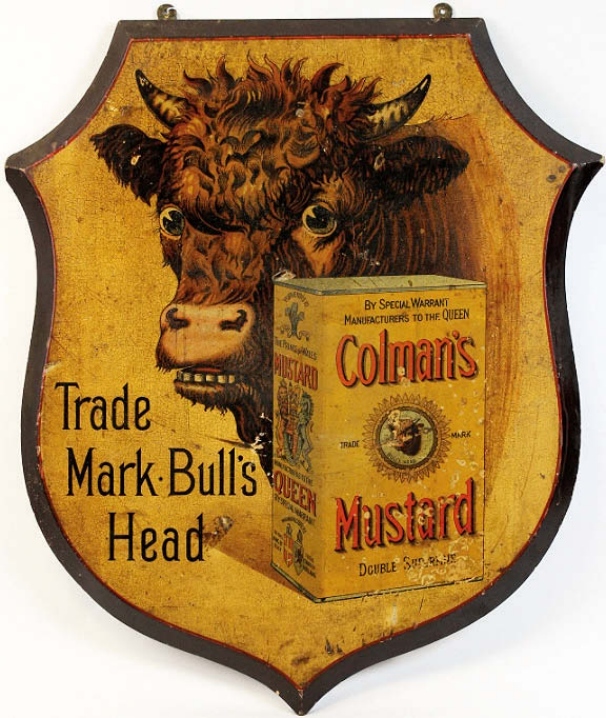 Possibly designed by equine artist Alfred Munnings (1878-1959), the 2ft 2in x 22½in (66 x 57cm) sign features the trademark bull’s head behind a large tin of Colman’s Mustard. Munnings was among several famous artists hired at the turn of the 20th century by the company’s marketing department to produce illustrations and advertising posters promoting Colman’s brand. 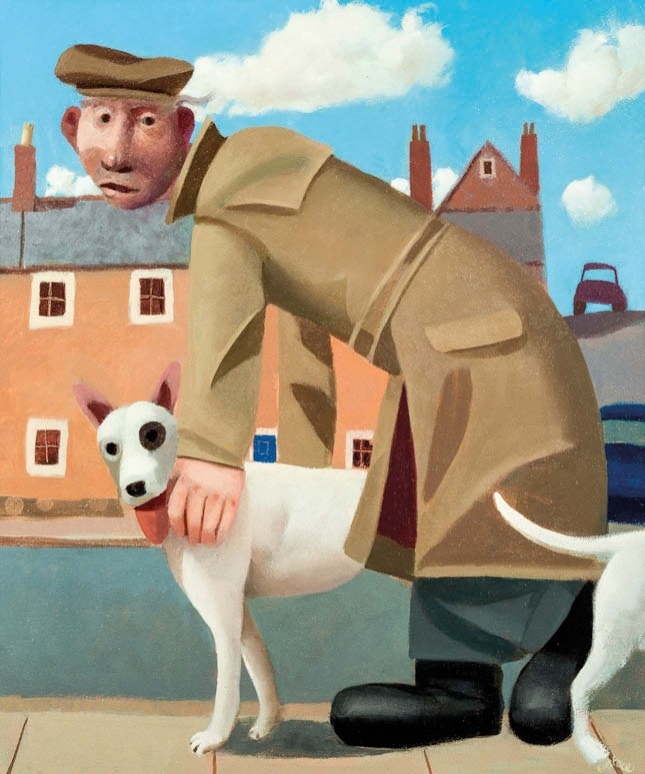 Bearnes Hampton & Littlewood’s next picture sale on April 11 in Exeter features paintings from the studio of local artist David Eustace (b.1950). The group of more than 30 works includes character studies of men with pints and pet dogs in pub interiors, narrative scenes and coastal views. Born in Birmingham, Eustace works in the tradition of English imaginative painters such as Stanley Spencer, Alfred Wallace and Beryl Cook. A Difficult Moment, pictured here, is an 18 x 15in (46.5 x 39cm) oil and acrylic on board, estimated at £500-700. Wedgwood, Moorcroft, Royal Doulton and Royal Crown Derby all feature in Potteries Auctions’ next sale in Staffordshire on April 8. The auction house, which specialises in 20th century British pottery, will include this 16½in (42cm) high limited edition Moorcroft vase decorated in the Major Mitchell Cockatoo pattern. It is one of 75 made in 2014-15 by designer Vicky Lovatt and carries a guide of £480-960. The sale also features over 30 lots made by the fellow Stoke-on-Trent pottery, Carlton Ware, and decorated in the Floral Blossom pattern. 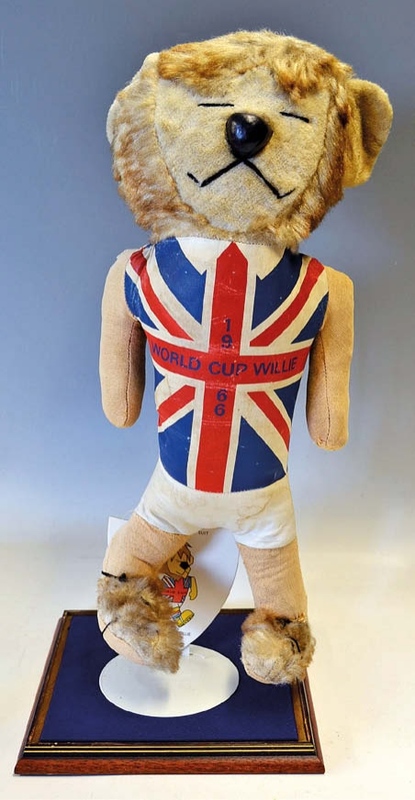 This 1966 World Cup Willie mascot teddy is going under the hammer at Mullock’s Rugby & Football Memorabilia sale on April 12-13 at Ludlow Racecourse in Shropshire. World Cup Willie was the first World Cup mascot, and one of the first to be associated with a major sporting competition. Guided at £1200-1400, it measures 19½in (50cm) high and comes in a display case.